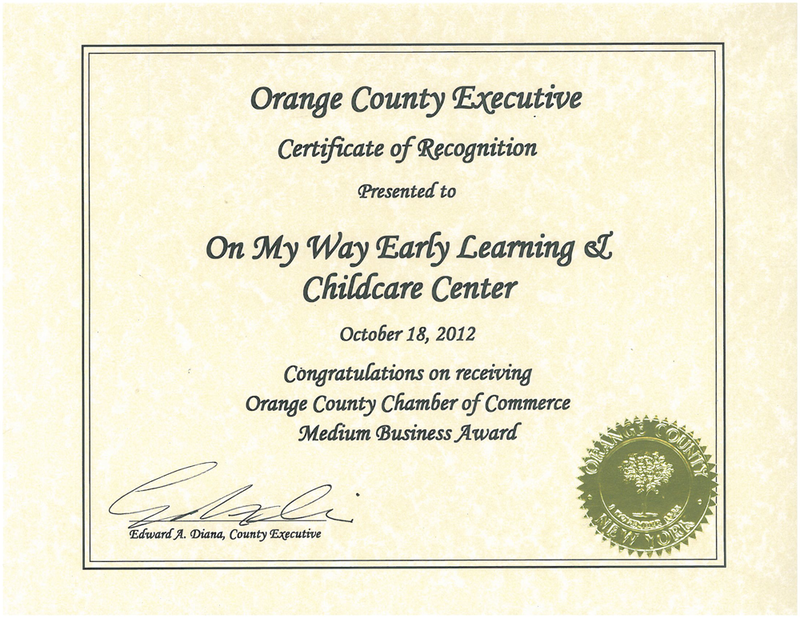 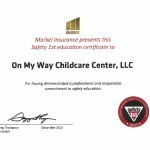 On My Way Early Learning and Childcare Center has been servicing the childcare and early learning needs of our community for the past 5 years. 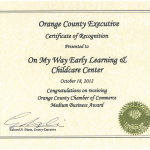 Our center’s philosophy and curriculum support a developmental approach to learning which is incorporated in the daily activities, schedules and routines of the center. 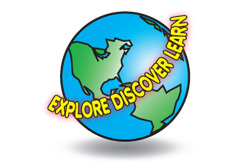 The emphasis within our classrooms is on exploration and process, therefore, we encourage children to utilize their curiosity and to actively explore and manipulate a variety of hands-on learning media. 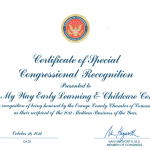 Art, music and rhythm, dance, dramatic play, sensory activities, cooking, science, social studies, technology, math, writing and reading readiness skills are just a few of the activities children EXPLORE, DISCOVER and LEARN at our center on a daily basis. 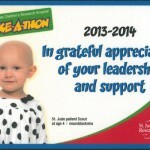 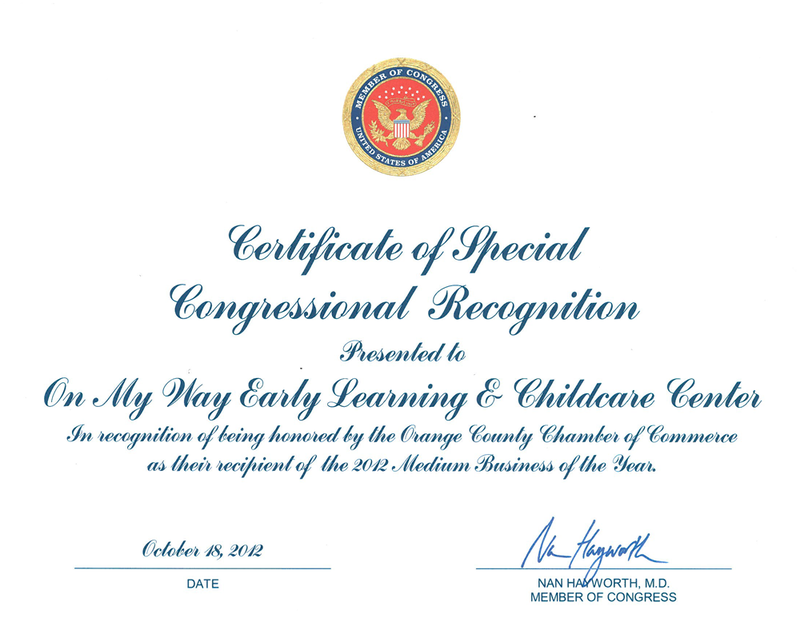 In addition to providing a superior learning environment, we incorporate charitable giving and community awareness into our curriculum. 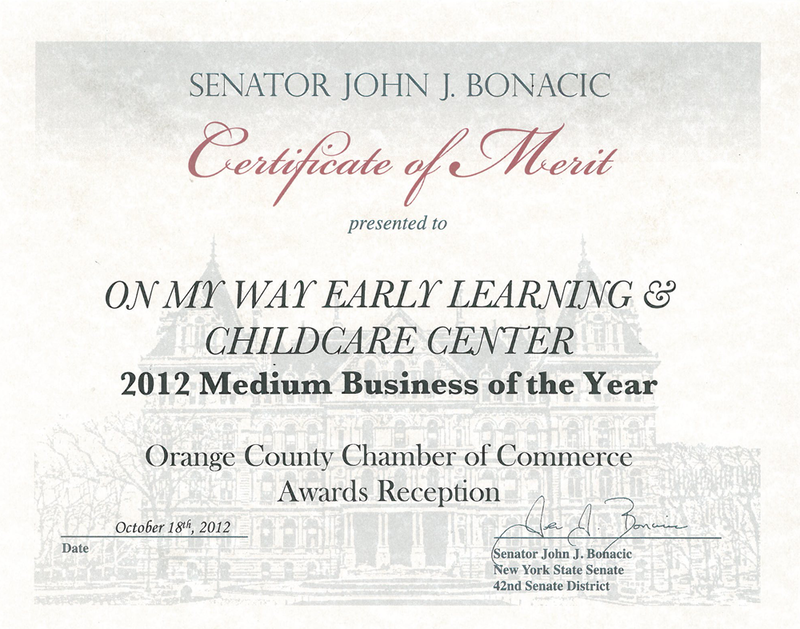 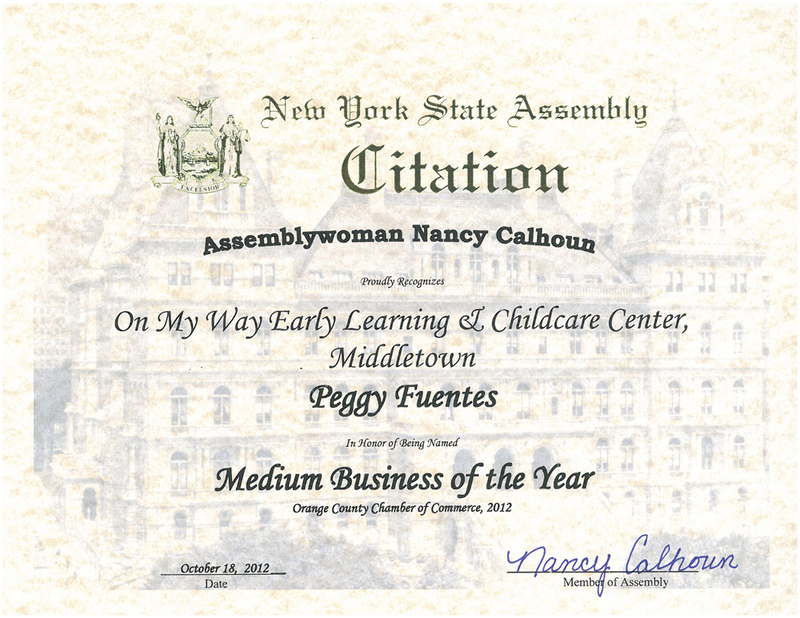 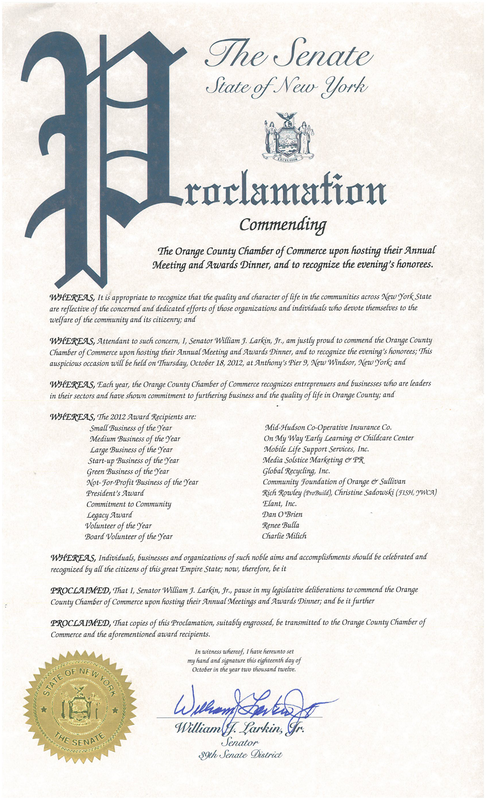 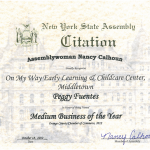 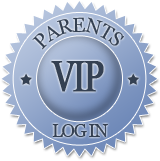 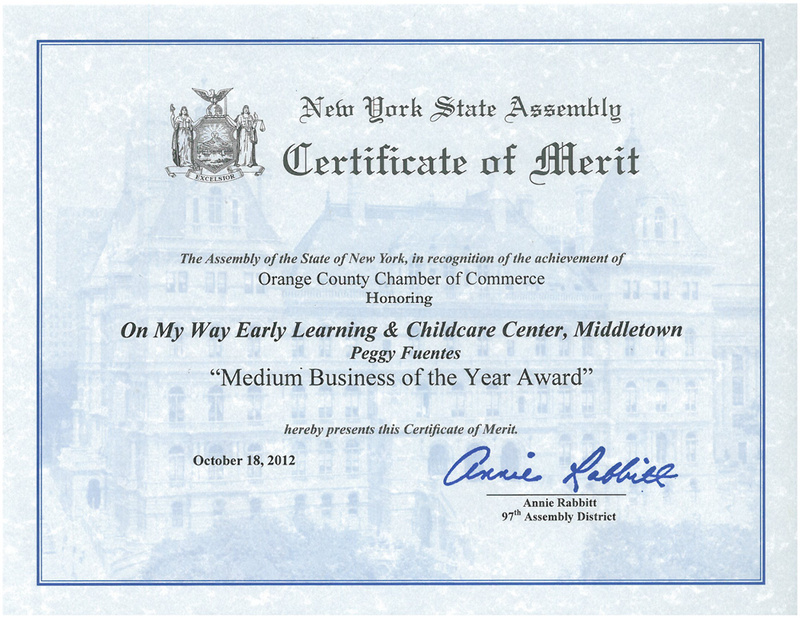 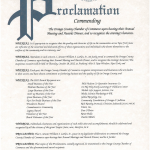 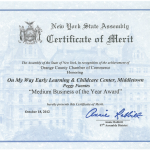 Below are just a few awards and recognitions we have received from the Orange County Chamber of Commerce, County Executive, the United States Congress, United States Senate and NYS Assembly on our programming. 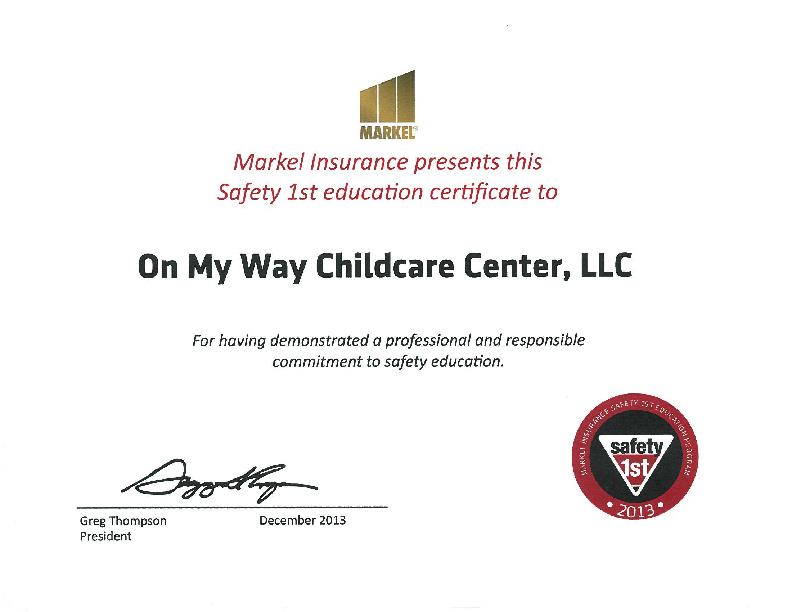 We are especially proud of winning the Markel Safety Award for our safety and security practices for the past 4 consecutive years.